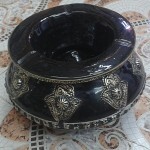 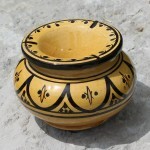 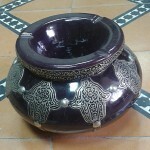 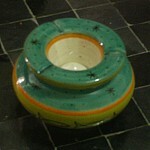 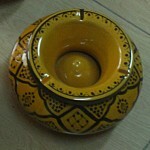 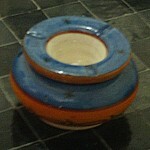 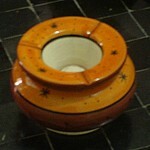 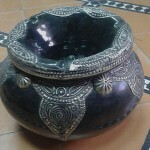 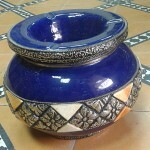 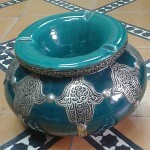 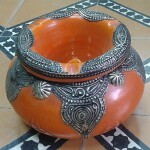 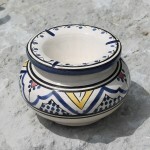 It is not necessary to present Moroccan ceramic Ashtrays hand crafted in Safi and hand painted by Berber women. 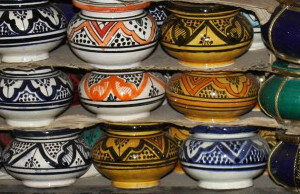 Those famous ceramic Ashtrays are very easy to recognize, thanks to their characteristic shapes, traditional Berber patterns and warm colors. 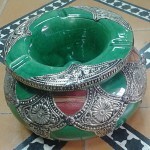 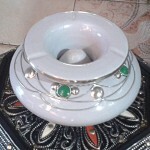 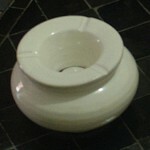 No other ashtray have a such notoriety all over the world, and we enjoy to offer here a wide range of ceramic ashtrays of Safi, continuing this fabulous story of love. 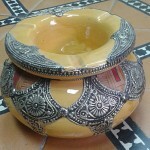 Moroccan Ashtray﻿ hand-crafted in Safi (Morocco) decorated with fishes.